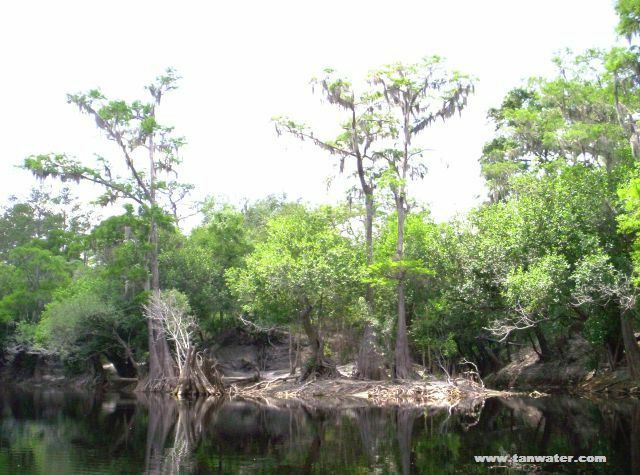 This domain has information and pictures of the Suwannee River. 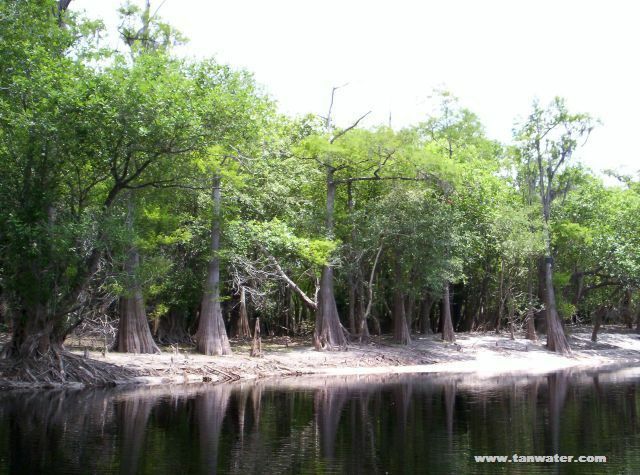 It includes many websites which cover the parks, lakes, state lands, and camp sites in the North Florida area. The domain also includes information about antique tractor shows and other local events. Florida wildlife is featured on some websites. The Computer Tech website has helpful information on keeping your computer virus free and clean of spyware, plus many more terms explained in non-technical language. A website with animations by Graywolf is included on the domain. Please feel free to click the links and browse through tanwater.com, no sign in or personal information is required. All pictures, animations, and technical websites on tanwater.com are free for personal use on your home computer. 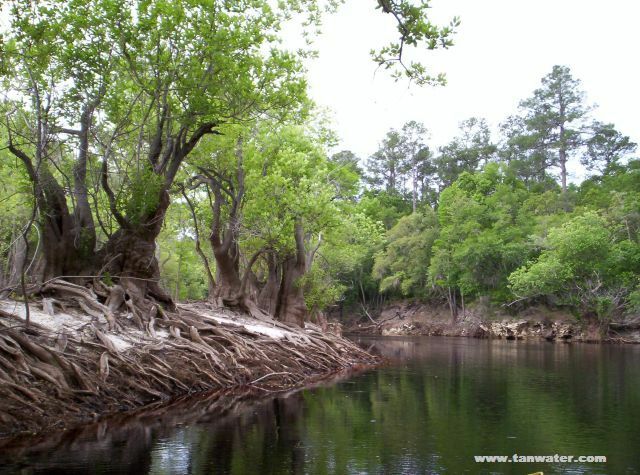 The Suwannee River originates in the southern border of the Okefenokee Swamp. It drains the swamp waters and runs hundreds of miles to the Gulf of Mexico. 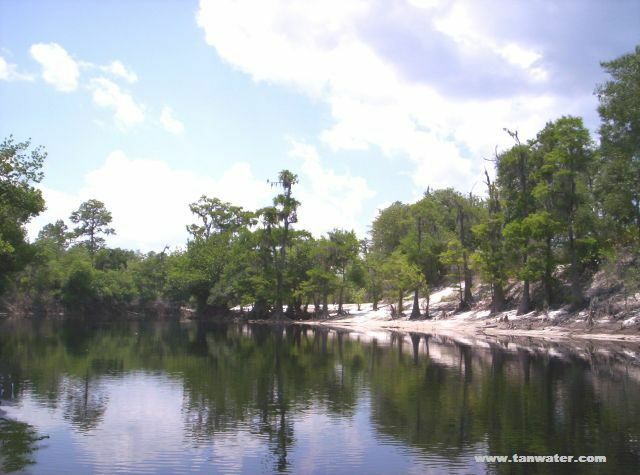 The Suwannee is joined by many other streams and rivers on the way to the Gulf. 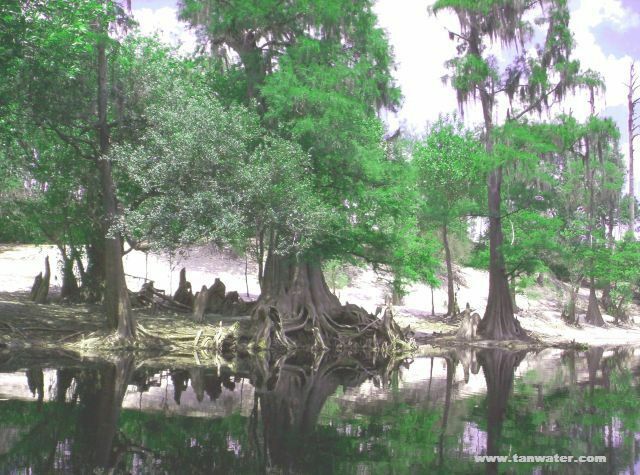 The waters of the Okefenokee are stained a dark tan color by the decomposing vegetation that is everywhere in the swamp. Where the Suwannee runs out of the swamp, the water is the color of tea. 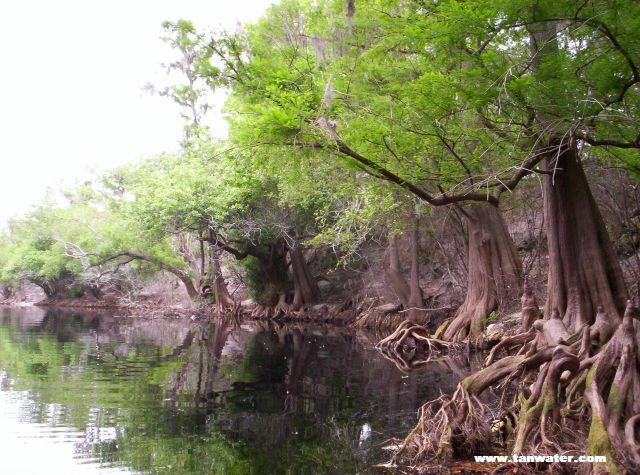 It gets lighter in color as it flows toward the Gulf because many crystal clear springs flow into it. The character of the river changes dramatically as it moves across north Florida. It starts out in the low swampy area near the Florida/Georgia border where it floods out into the surrounding swamps when there is plenty of rain. 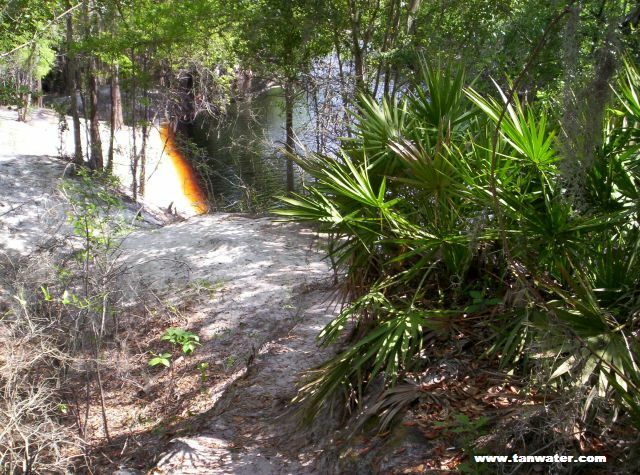 During dry times the Suwannee runs sluggishly in a narrow, shallow channel choked with logs and flowing over rocks only inches under the water. 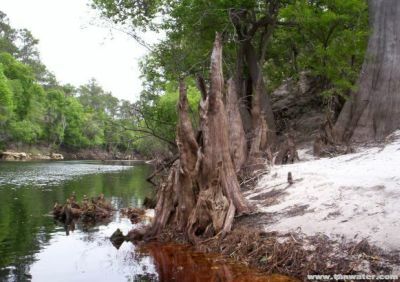 Although there are a few places where a boat can be put in the upper Suwannee, a motor is useless during the dry season and there is still a good chance of hitting a submerged log when the water is higher. 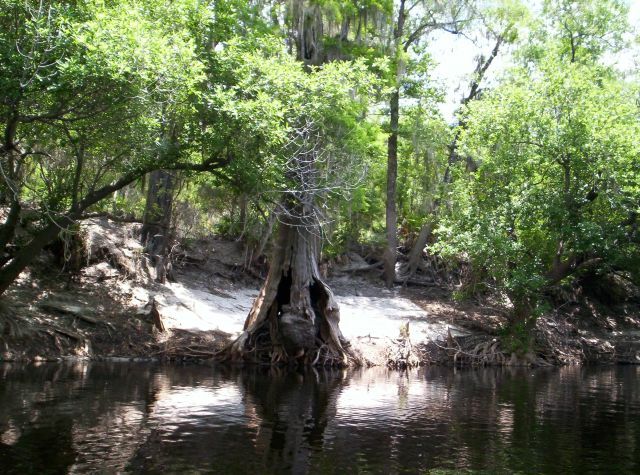 A flat-bottom canoe is the safest way to explore the upper Suwannee. Not many people care to travel this part of the river. 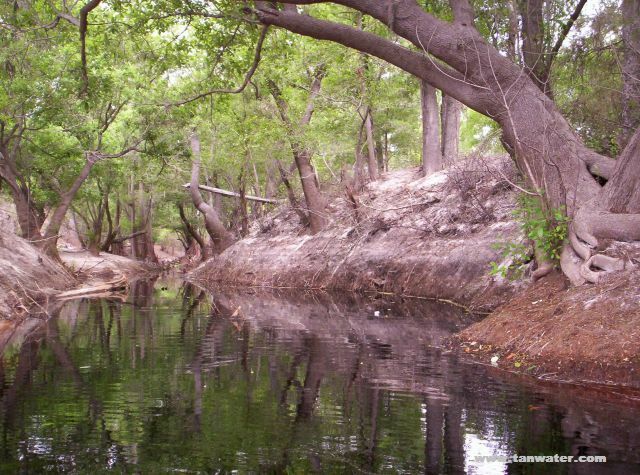 The swamps are breeding grounds for swarms of blood-sucking yellow flies and mosquitoes who pay little attention to insect repellant. In the water are large alligators and hungry sharp toothed bowfin. Cotton-mouth moccasins and rattlesnakes crawl the banks of the river. Overhanging limbs often conceal large wasp or hornet nests and the bushes are full of ticks. It is not an area for a novice to venture into. 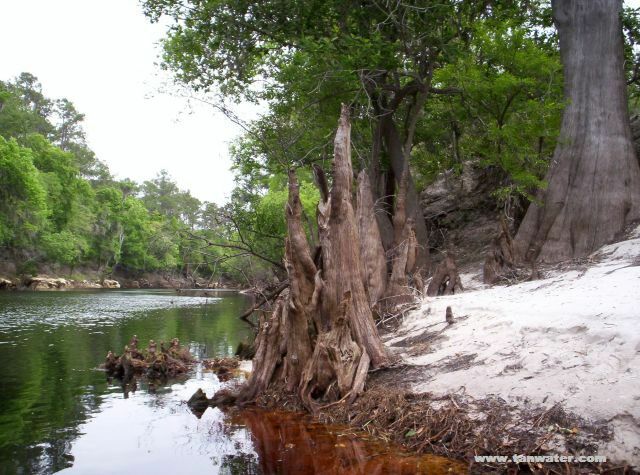 The banks of the upper Suwannee are lined with twisted, deformed tupelo and cypress trees which have had their tops ripped out by the flood waters or hurricanes many times. 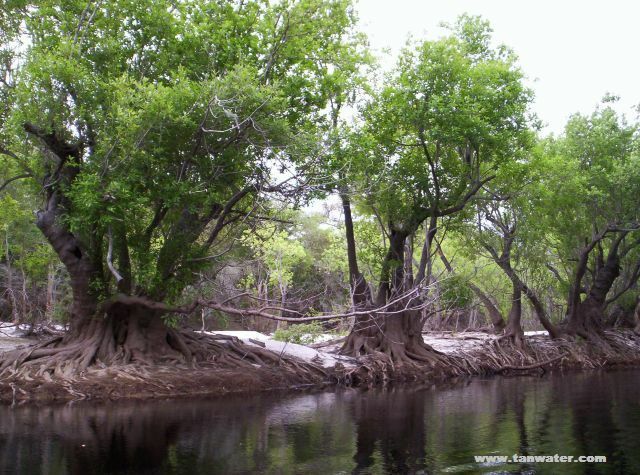 Only the extensive root systems keep the trees from washing down river during the floods. When the tops are ripped from the tupelo trees, they put out new shoots and grow back as the water goes down. 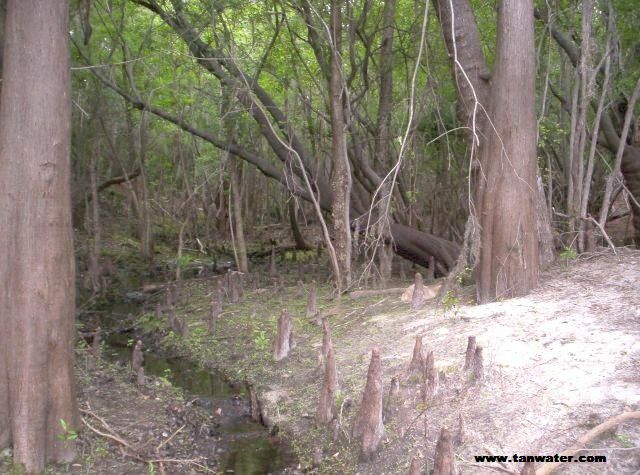 The cypress have deep spreading roots that send up cypress knees to reach above the higher water. Few other trees can live so close to the constantly changing river water level. Sometimes the roots are exposed and at other times they are covered with water or sand. The sand bars and main river channel change with each flood.